The area around Buffalo, NY was buried under an astonishing seven feet of snow this week, due to a phenomenon called “lake effect”, which is explained here. 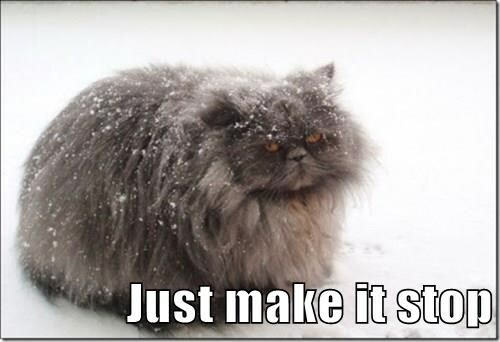 Meteorologists may find this fascinating, and kids may be happy to miss school, but at least one group of upstate New Yorkers is seriously disgruntled: the cats. Well, except for this guy. There’s always one. 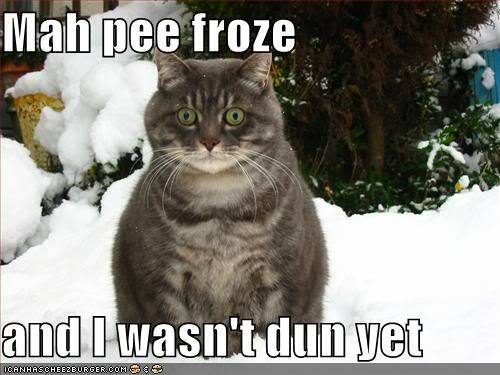 This entry was posted in Science Caturday and tagged cold cat, science lolcat, snow cat, weather cat. Bookmark the permalink.